David Garshen Bomberg was an English painter, and one of the Whitechapel Boys. Bomberg was one of the most audacious of the exceptional generation of artists who studied at the Slade School of Art under Henry Tonks, and which included Mark Gertler, Stanley Spencer, C.R.W. Nevinson and Dora Carrington. Bomberg painted a series of complex geometric compositions combining the influences of cubism and futurism in the years immediately preceding World War I; typically using a limited number of striking colours, turning humans into simple, angular shapes, and sometimes overlaying the whole painting a strong grid-work colouring scheme. He was expelled from the Slade School of Art in 1913, with agreement between the senior teachers Tonks, Frederick Brown and Philip Wilson Steer, because of the audacity of his breach from the conventional approach of that time. 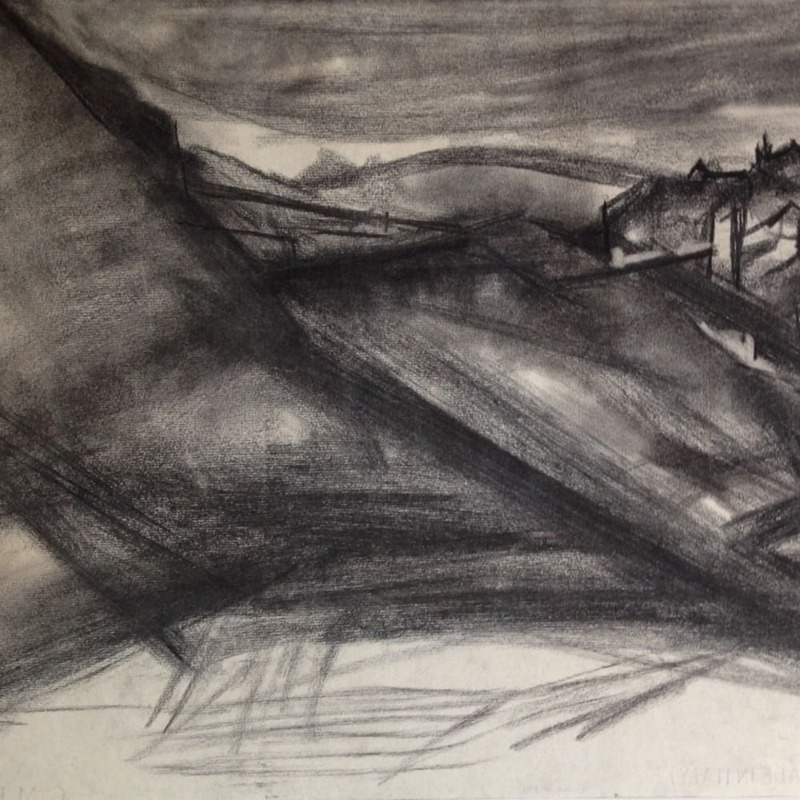 Whether because his faith in the machine age had been shattered by his experiences as a private soldier in the trenches or because of the pervasive retrogressive attitude towards modernism in Britain, Bomberg moved to a more figurative style in the 1920s and his work became increasingly dominated by portraits and landscapes drawn from nature. Gradually developing a more expressionist technique he travelled widely through the Middle East and Europe. From 1945 to 1953, he worked as a teacher at Borough Polytechnic (now London South Bank University) in London, where his pupils included Frank Auerbach, Leon Kossoff, Cliff Holden, Dorothy Mead, Gustav Metzger, Dennis Creffield, Cecil Bailey and Miles Richmond. David Bomberg House, one of the student halls of residences at London South Bank University, is named in his honour.